What has enabled the ACA’s partial undoing is the triumph of ideology and raw politics over evidence. Many Republicans not only despise former President Obama, but they also detest particular provisions of the ACA – including the expansion of Medicaid to populations viewed as “able-bodied” and thus unworthy of government assistance.2 So passionate is the opposition that there has been an almost complete disregard of “evidence,” at least as sober-minded thinkers might understand the term. This neglect has been accompanied by the breakdown of “regular order” – the rules and customs of Congress that once created at least a semblance of orderly and deliberative policymaking. To write this is not to pretend that there was once a Golden Age when only evidence worthy of publication in peer-reviewed journals carried the policymaking day. As David Blumenthal and James A. Morone observe in their compelling history, The Heart of Power, President Lyndon Johnson in 1964 so desperately wanted to enact Medicare that he didn’t care what was in the bill to create it, insisting “I trust you on the details.”3 In fairness to Johnson, the fight over creating government-financed hospital insurance for the elderly had already raged for more than a decade, amid ample evidence that senior citizens were suffering without it. Later analyses by the Congressional Budget Office (CBO) and Joint Committee on Taxation (JCT) echoed the finding that repealing the mandate would cause a huge jump in the number of uninsured, to 13 million more by 2027, and a ten percent increase in health insurance premiums.8 Acknowledging uncertainty around the estimates, the CBO and JCT said that the result would actually be to reduce the federal budget deficit, since with fewer insured individuals, expenditures on the ACA’s insurance subsidies would fall. Now that evidence is ignored or dismissed as irrelevant, policy trade-offs are not even framed, and facts disappear amid a rain of anecdotes or untruths, will things ever change? Perhaps, but I wouldn’t bet on it. In a November 2017 Gallup poll,10 roughly the same proportion of respondents said they favored “a government run health care system” (47 percent) to “a system based mostly on private health insurance” (48 percent). Does either phrase constitute anything beyond sloganeering about national health policy? In fact, “left the building” may be the most positive spin to put on the role of evidence in congressional health policymaking. Maybe, like Elvis, evidence is just dead. Auter, Z. U.S. Uninsured rate rises to 12.3% in third quarter. Gallup. October 20, 2017. Accessed April 9, 2018. See, for example, comments by Alabama Republican Rep. Gary Palmer as reported here: Tribune Staff. Rep. Gary Palmer votes against Obamacare replacement in committee. The Trussville Tribune. March 16, 2017. Accessed April 9, 2018. Blumenthal D, Morone JA. The Heart of Power: Health and Politics in the Oval Office. Berkeley, CA: University of California Press; 2009:179. See, for example: Conference agreement for H.R. 1 – initial observations. KPMG. December 20, 2017. Accessed April 9, 2018. Eibner C, Saltzman E. How does the ACA individual mandate affect enrollment and premiums in the individual insurance market? RAND Corporation. 2015. Accessed April 9, 2018. Congressional Budget Office. Repealing the individual health insurance mandate: an updated estimate. November 2017. Accessed April 9, 2018. Newport F. In U.S., Support for Government-Run Health System Edges Up. Gallup. December 1, 2017. Accessed April 9, 2018. 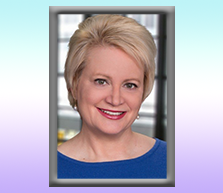 Susan Dentzer is the President and Chief Executive Officer of the NEHI, the Network for Excellence in Health Innovation, a nonprofit, nonpartisan organization composed of more than 100 stakeholder organizations from across all key sectors of health and health care. NEHI’s mission is to advance innovations that improve health, enhance the quality of healthcare, and achieve greater value for the money spent. With offices in Washington, DC, and Boston, Massachusetts, NEHI conducts independent, objective research and thought leadership to accelerate these innovations and bring about changes within health care and public policy. One of the nation's most respected health and health policy thought leaders and journalists, and a frequent speaker and commentator on television and radio, including NPR, Dentzer previously served as senior policy adviser to the Robert Wood Johnson Foundation. Prior to that, she was editor-in-chief of the journal Health Affairs, and from 1998 to 2008, she served as the on-air Health Correspondent for the PBS NewsHour. Dentzer is an elected member of the National Academy of Medicine and the Council on Foreign Relations. She is a member of the Board of Directors of the International Rescue Committee, a leading humanitarian organization; a member of the board of directors of Research!America, which works to advance research to improve health; and a member of the board of directors of the Public Health Institute. She is a fellow of the National Academy of Social Insurance and The Hastings Center, an institution dedicated to bioethics and the public interest. She previously served as a public member of the American Board of Medical Specialties. She serves on multiple advisory boards, including those of the Duke-Margolis Center; the Philip R. Lee Institute for Health Policy Studies at the University of California-San Francisco; and the March of Dimes public policy advisory group. The opinions expressed in GROWTH Commentaries are those of the authors.